History:The Maratha king Sri Pratapah Simha had built a temple exclusively for Lord Anjaneya in Thanjavur. So, this temple is called Pratapah Veera Anjaneyar. Normally temple for Lord Anjaneya will be small in size and built-up area. There will be no exclusive Rajagopuram or dwaja sthambam, but this temple is an exception. He is seen blessing devotees with his right hand which is in 'Abya mudra'. The upward looking golden eyes are blessing the devotees with lot of self confidence in their endeavor, which brings all prosperity in life. 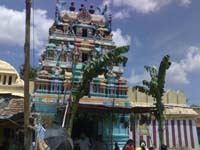 This temple has a three tier rajagopuram and a dwaja sthambam. It has a eighteen pillered alankaramandapam. This is the second largest ancient temple built exclusively for the Lord with rajagopuram and dwaja sthambam. This temple had been planned and built in the North-West corner. The North-West corner is also known as ‘Vayu moolai’ in accordance to Vasthu Sastra and since Lord Anjaneya is son of Vayu this corner acquires special significance for the Lord Anjaneya. For this reason the temple came to be known as' Moolai ' Anajaneyar koil. There are two sculptures in the Northern wall of the sanctorum depicting Lord Anjaneya in Yoga posture sitting on the top of the mountain. There are animals and trees shown in the mountain. Yoga Anjaneya is seen with four arms, while top hands are seen holding sangu and chakram (conch and disk) while the other two are seen blessing with ‘abhaya and varadha mudras’. 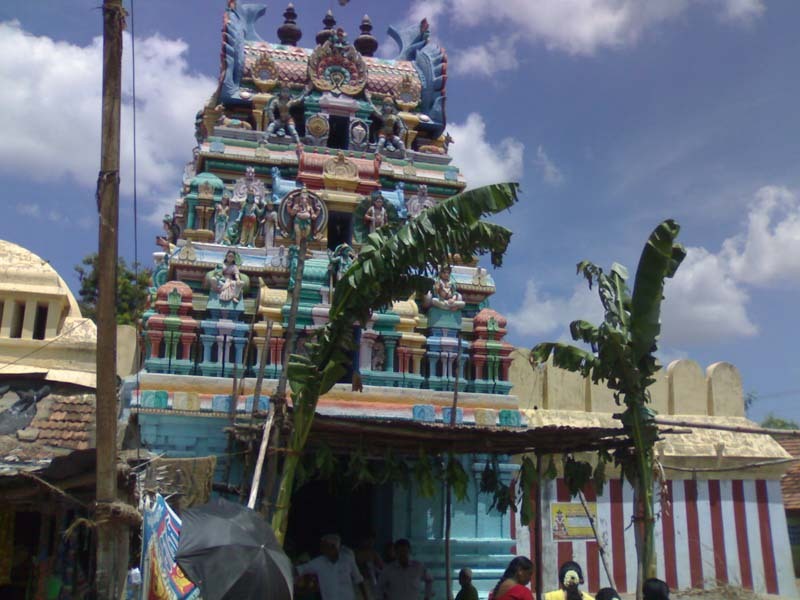 Festivals : Hanumath Jayanthi (birthday of Lord Hanuman who was born in Moola star) was celebrated in a grand manner at this temple, Ammavasi & Rama Navami. Timings : This temple remains open from 6.00 AM to 12.00PM in the morning and 4.00PM to 9.00PM in the evening.